Rocky 4 Robot SICO - INTERNATIONAL ROBOTICS INC.
Budget concerns? Robot SICO (of ROCKY 4 fame…watch clip below) could be your perfect fit. FREE VISIT! Would you like to experience SICO firsthand at no cost to you? Call us and let us know where you are located, and we’ll contact you when SICO is near you. You’ll then have the option of scheduling a complimentary demonstration at your offices. Robot SICO (pronounced, “SEEKO”) while not as rotational as Robot MILLENNIA, was designed to be a solid workbot and can carry signs or products. Hop on…bet you never danced the Funky Chicken with a robot! Our proprietary Passenger-Carrying Platform means this robot can offer rides or dance with guests. 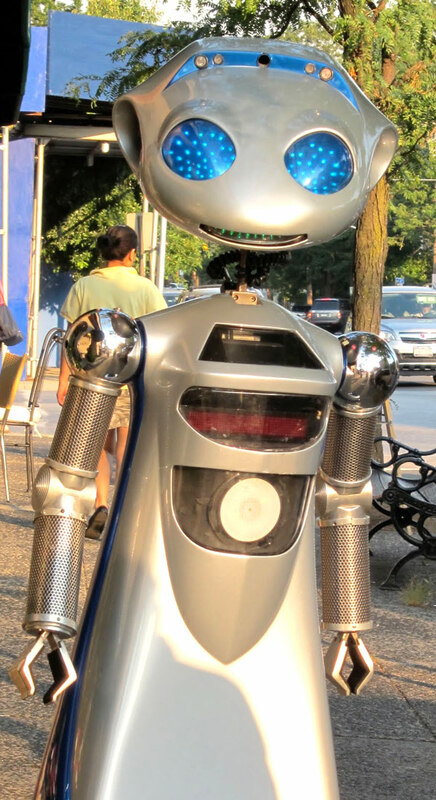 IRI’s exclusive remote-control system allows our operators to transparently manage the robot in full view of your audience, from 2 to 200 feet away. Rent short or long term or you may request a custom-designed robot to your exact specifications. Owner and user of his own personal American Express and Master Card credit cards.